Founded in New York City in 1980 by Artistic Director and Choreographer Mark Morris, the Mark Morris Dance Group (MMDG) has been called “the preeminent modern dance organisation of our time” (Yo-Yo Ma). With over 30 years’ experience as a performer and choreographer, Mark Morris has been linked with other greats of contemporary dance, such as Pina Bausch, and was a co-founder of the White Oak Project in 1990 alongside Mikhail Baryshnikov. 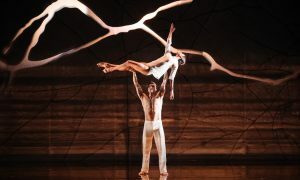 Morris’ renowned group and music ensemble finally made an appearance at the iconic Sydney Opera House to amuse and confound an Australian audience with an eclectic selection of four works that showcase the breadth of Morris’ choreographic career – Pacific, A Wooden Tree, Whelm and Festival Dance – each quite different in content, tone and vision. Amidst this contrast of moods and tones, the one constant is the primacy of live music and the corresponding intimate musicality of the dancers. Live music and community engagement are vital components of the company, which has toured with its own musicians, the MMDG Music Ensemble, since 1996. 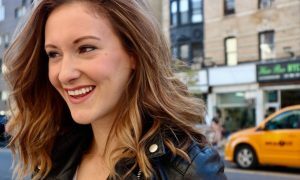 “I’m a musician and my medium is dancing,” Morris has famously stated. His commitment to live music underpins everything he creates and also determines the dancers he employs – they must dance and breathe the music, becoming the earthly manifestation of Morris’ vision. The Sydney program opened with Pacific, a lyrical neoclassical piece from 1995 set to the third and fourth movements of Mr. Harrison’s “Trio for Violin, Cello, and Piano.” This is pure dance, without a trace of narrative, with both male and female dancers wearing soft ballet flats and flowing full-length skirts. Pacific is an impressive and non-confronting introduction to MMDG, highlighting the integral place of live music for this company. It also displays the dancers’ technical proficiency and ability to bring a freshness to the repeated leaps in which the body changes angle with the torso and hips pivoting. Moving away from the clean oceanic lines of Pacific, A Wooden Tree transports the audience to a mood of comedy and light-hearted playfulness full of song narrative. Using ironic Celtic ditties with words and music by Scottish poet and humourist Ivor Cutler, much of this performance relies on the dancers’ ability to play over the top with a sense of physical comic timing to tunes such as “Cockadoodledont”, “I Love you but I don’t know what I mean” and “Stick out your chest”. 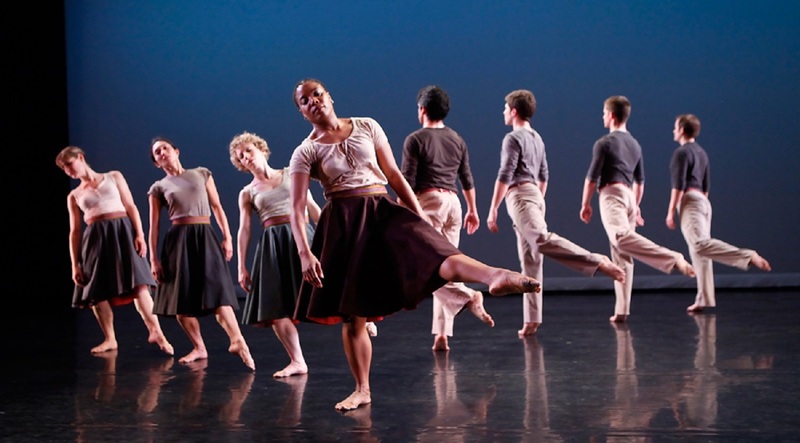 Mark Morris Dance Group and Music Ensemble. Photo courtesy of Mark Morris Dance Group. As always, the dancing is an expression both of the music and the naughty but amusing lyrics – evoking the everyday and in particular, the eternal ritual of the mating game. After the interval, the lighthearted mood changed to one of concentrated darkness in Whelm. For this piece the stage is transformed into a shadowy and murky world with dancers transforming into almost indiscernible shadows. Inspired by Morris’ experience of losing friends to the AIDS crisis, Whelm is a meditation on grief and loss. Enveloped in the icy tones of Claude Debussy’s “Des pas sur la neige” and “La cathédrale engloutie”, all the components of this piece are cast in shades of darkness, from the obscure lighting to the dark costumes to the surreal tone. We also note souvenirs of Merce Cunningham with sphinx-like poses. 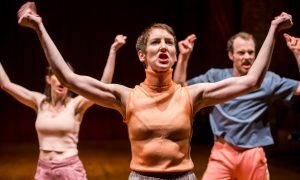 MMDG’s Sydney Opera House debut was certainly not boring, especially with the unusual result of hearing the audience either happily chuckling during The Wooden Tree or whispering to their neighbour as they try to unlock the key to a certain work. 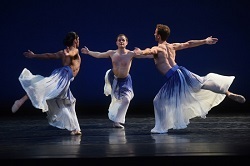 Photo (top): Mark Morris Dance Group and Music Ensemble. Photo courtesy of Mark Morris Dance Group.